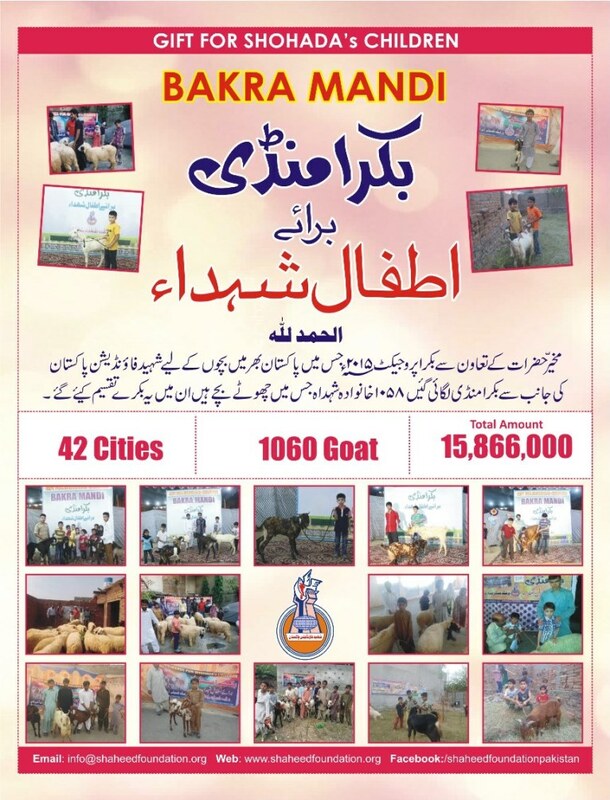 This year also, Shaheed Foundation Pakistan organized Bakra Mandi in different cities of Pakistan and martyrs children are invited to come in the camp. On camp day Children come to the camps along with their working members, move around and choose the sacrificial animal of their liking for themselves. The animal is thus reserved for them as a gift and they take it back home happily. It serves a multiple purposes. On one hand it gives them awareness of religious duty on Eid-ul-Azha. 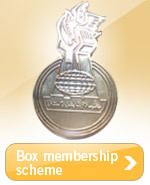 It also teaches them philosophy of sacrifice. It averts any sense of deprivation that might be produced as a result of seeing other children of their age, who visit with parents and elders to get a sacrificial animal. Besides its a healthy activity and the joy of the children can really be witnessed and felt, as the young angels are all smiles on getting their 'Goats'.